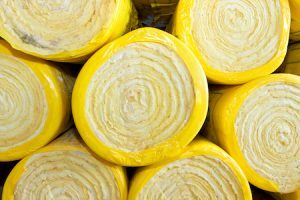 Insulating your home is one of the quickest and easiest ways to save money on your energy bills and make your home warmer. If you currently have less than 4 inches (100mm) of loft insulation, if you have cavity walls that have not been insulated or if you have a room in your roof with sloping ceilings or stud walls that need insulating then the Heat Project can help! For more information on the types of insulation works we can carry out on your home, please see the relevant sections below. If your home is built of brick and it is not rendered you may be able to confirm if the wall has a cavity by checking the brick pattern against the picture below. If you can see the short end of the bricks as in the first 2 images, then you are likely to have solid walls. If the wall is made up of all long sides of the brick then it is likely to be cavity, although in some cases the home could still have a timber framed interior. You can normally tell by knocking the inside wall, if it sounds hollow it could be timber framed. 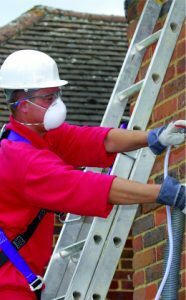 Happy Energy can offer grants for cavity wall insulation and in many cases the works can be completely free of charge. Grants are also available to insulate solid walled properties but the works will cost upwards of £10,000 and the grants will only cover a small part of the cost, perhaps around 20%. 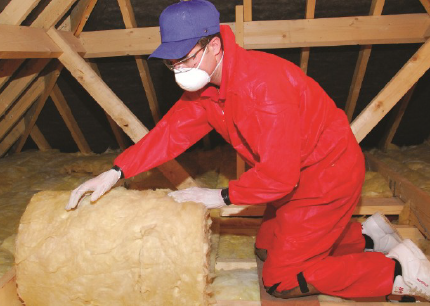 If your home was built before the 1980s then you may have little or no loft insulation, if you are not sure because you are unable to look in your loft, then you can arrange to have a free insulation survey through the Heat Project. Grant funding is available from the Heat Project, and the amount of grant, and cost of the works, will be calculated as part of the free survey. Grants are higher for homes which have 2 inches (50mm) or less of insulation because the more energy we save the higher the grant is. The works typically take a couple of hours and we also insulate any cold water tanks and pipes that are in the loft to prevent them from freezing. If your home was built after 1935 and the walls are at least 250mm thick, it probably has cavity walls. The gap between the inner and outer wall can be filled with insulation which could reduce your heat loss by up to 35% to save you money and keep you warmer. You may be able to tell if your cavity walls have already been filled by looking just under the centre of your window ledges, here you may find small drill holes around 2cm wide which then spread about around every 1 meter which would typically mean the work has already been completed. If there is no visible drill pattern and you believe your cavity walls need insulating, then please call us or complete our application form to arrange for a free insulation survey. Most homes built before 1935 will have solid brick or solid stone walls. 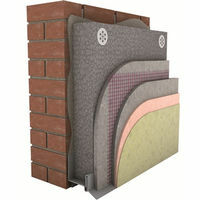 These walls can either be insulated external or internally. External wall insulation is the most common method whereby insulation boards around 100mm thick are attached to the outside walls and then either finished with render, pebble dash or a brick effect finish. Window ledges, soffits and rainwater goods are adjusted to fit the new wider walls and the work is completed in around 1-2 weeks. External wall insulation costs around £10,000 for a normal semi detached house and upwards of £15,000 for a detached house. The Heat Project can offer grants for solid wall insulation but typically that only cover 10-20% of the works cost so you would need to find several thousand pounds to contribute towards the cost of the works. However, if you are planning to re-render your home anyway or if you wish to modernise and transform the look of your home then you should consider solid wall insulation. Internal wall insulation is ideal where you are renovating a property room by room. The challenge is in kitchens, bathrooms or rooms which have built in wardrobes on outside walls as these would need to be removed and replaced which makes internal wall insulation more suited to homes that are being renovated. Timber framed homes can’t have cavity wall insulation installed so solid wall insulation is an ideal solution for these properties.